Kitchen cotton is a type of yarn that is useful for making projects you'd use in the kitchen: potholders, dishcloths, towel toppers, placemats, and other projects of that ilk. You don't necessarily have to use kitchen cotton only for kitchen projects; you could also use it for bath accessories such as bathmats and washcloths. You might also want to consider it for making accessories such as market bags or other items. 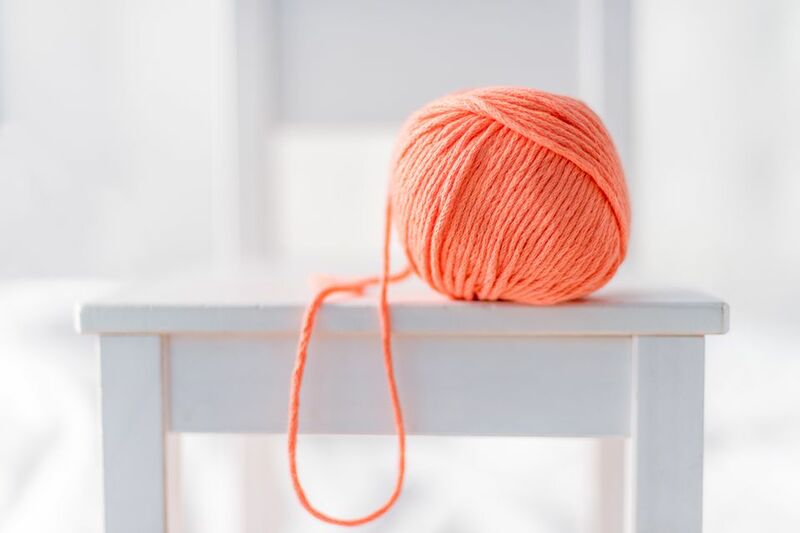 You can use kitchen cotton yarns for crocheting, knitting, weaving, or any other craft that requires a sturdy cotton yarn. Kitchen cotton yarn is available in a wide variety of variegated and solid colors. All four of these examples are worsted weight / medium weight yarns. Peaches & Creme used to also be available in a double worsted weight / bulky weight, which was handy for making substantial projects such as bath mats. If that's a product you'd be interested in, I'd recommend checking with the manufacturer to find out whether it is currently available. If you'd like to see pictures of each design listed below, visit our main directories of dishcloth patterns and potholder patterns. The lists include pictures of each design. The following free knitting patterns are available at the About Knitting website. They were designed by Sarah E. White, your Guide to knitting.